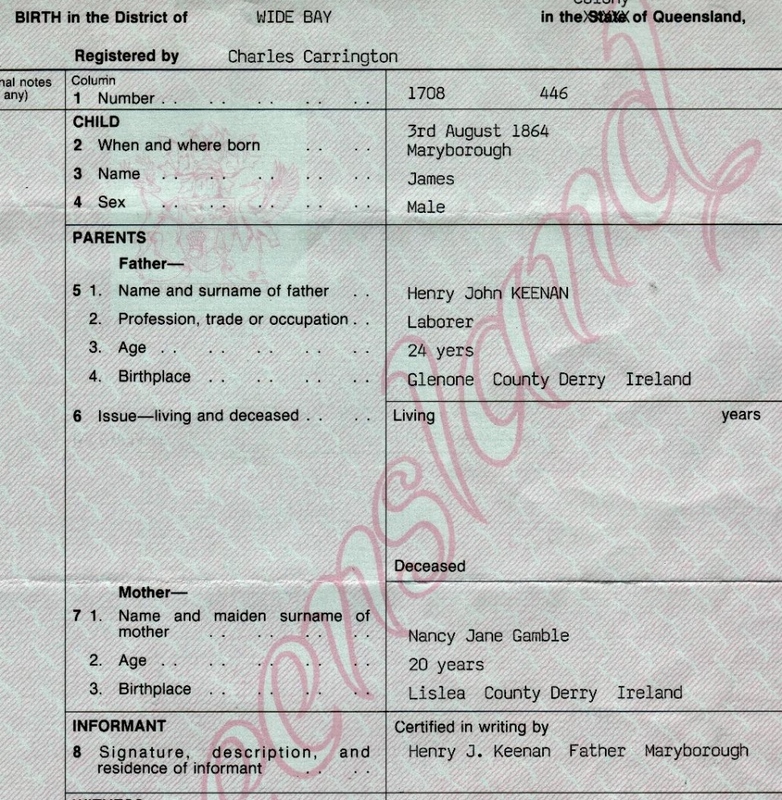 Birth certificate of James Keenan (1864 - 1942), first son of Henry John Keenan and Nancy Jane Gamble. 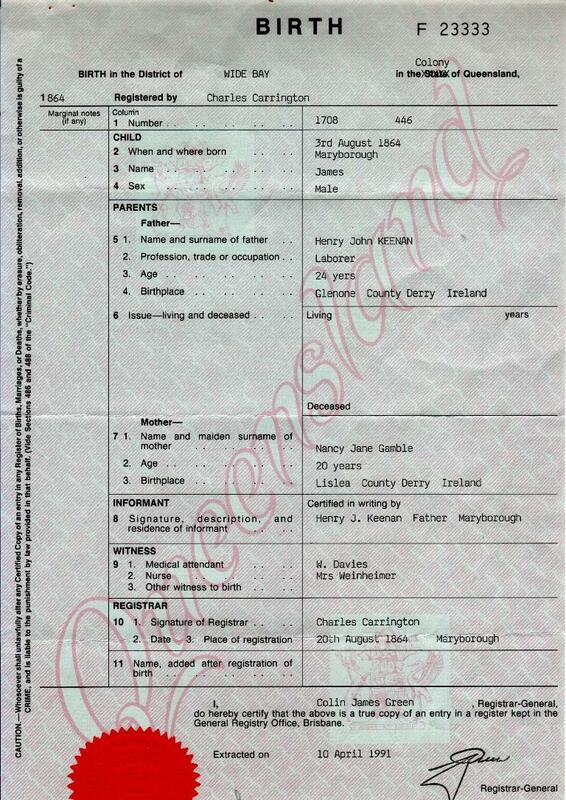 See also an extract of this birth certificate [HERE]. 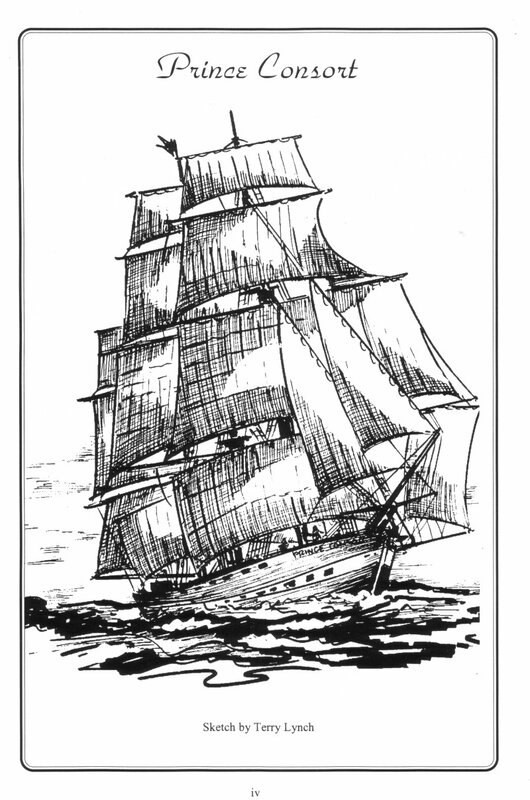 Sketch of the sailing ship "The Prince Consort"
Typed family tree of	John Robert (Bob) Keenan (1898 -1970) and family photographs. 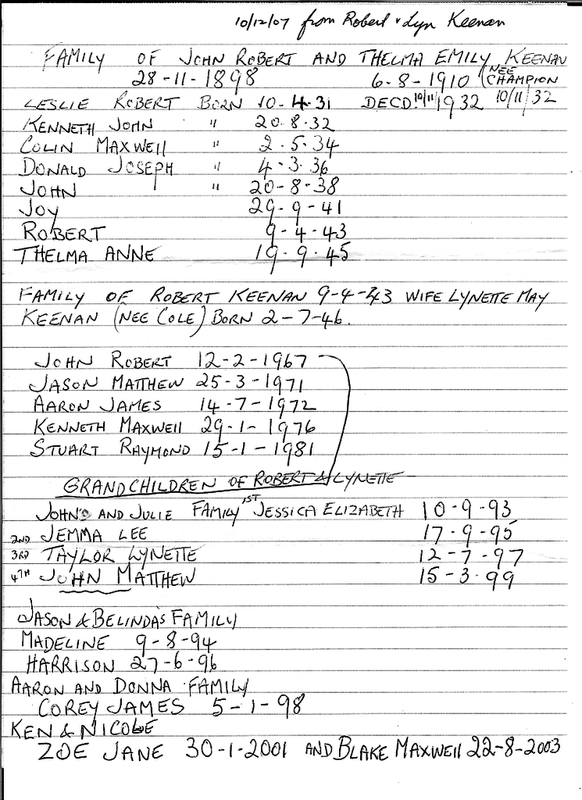 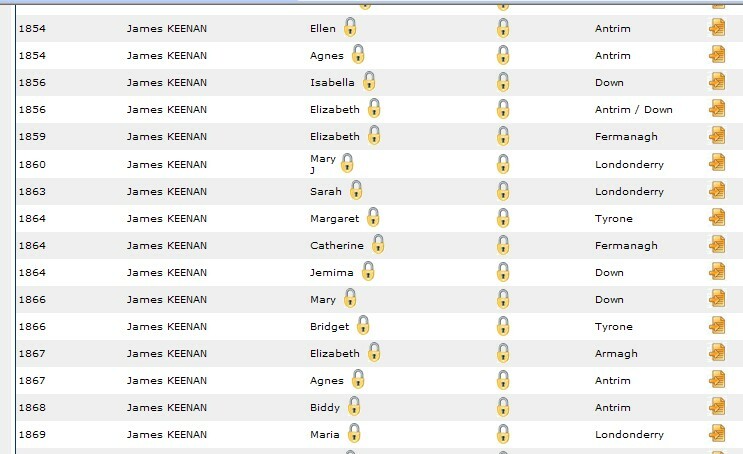 A screen shot from the Emerald Ancestors database showing dates, places and parties to marriages in Northern Ireland from 1854 to 1869 in which a	James Keenan was groom. 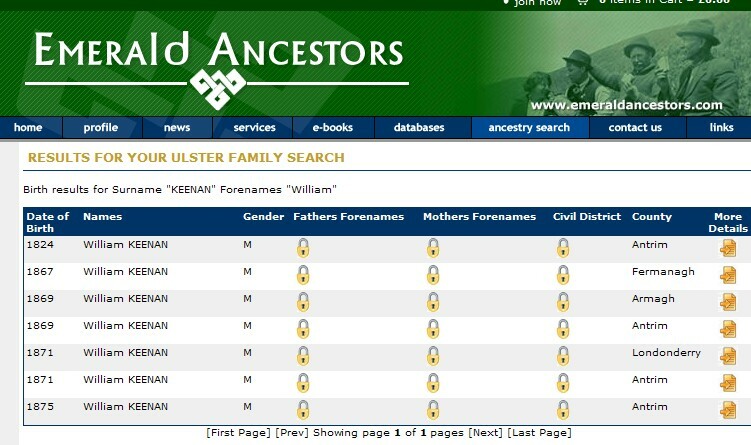 From the Emerald Ancestors database a screen shot showing dates and places of	births in Northern Ireland from 1824 to 1875 of persons named William Keenan.